Each year, the American Library Association’s (ALA) GODORT Notable Documents Panel selects what it considers to be the most “Notable Government Documents” published during the previous year by Federal, state, and local governments and includes the list of winners in its prestigious Library Journal (LJ). Typically, many of the Federal publications it picks are available through the Government Printing Office’s U.S. Government Online Bookstore. Known as “the most trusted and respected publication for the library community,” LJ provides groundbreaking features and analytical news reports covering technology, management, policy and other professional concerns to public, academic and institutional libraries. Its hefty reviews sections evaluate 8000+ reviews annually of books, ebooks, audiobooks, videos/DVDs, databases, systems and websites. According to LJ, “This year’s list of notable documents includes titles on cultural heritage, globalism, diversity and gender equality, lifelong learning, and the environment.” Here are Federal Government documents available through GPO that were selected as Most Notable for 2013. Congratulations to the publishers of these deserving award winning publications! To some it might seem strange that the Government Printing Office, the printer of Federal publications for over 150 years, is blogging about eBooks for “Read an eBook” Week and the 25th anniversary of the World Wide Web . However, GPO has been working with digital publications for years and is fully immersed in eBooks. It would take over 40 years for Brown’s prescient vision to become reality. Starting back in 1971, Michael S. Hart launched Project Gutenberg and digitized the U.S. Declaration of Independence, becoming the first eBook in the world. (To put the date into context, 1971 was the year that the first email message was ever sent– between two mainframe computers!) In 1985, the Voyager Company, a pioneer in CD-ROMs, was founded and published “expanded books” on CD-ROM including Michael Crichton’s Jurassic Park, and in 1993, Digital Book, Inc. offered the first 50 digital books on floppy disk. Fast forward to 1998, and four important events happened: 1) the first dedicated eBook readers were launched: Rocket Ebook and Softbook; 2) the first ISBN issued to an eBook was obtained; 3) US Libraries began providing free eBooks to the public through their web sites and associated services; and 4) Google was founded by Larry Page and Sergey Brin. In 2000, the same year Blu-Ray discs were launched, Stephen King offered his novella Riding the Bullet as a digital-only computer-readable file, and two years later, Random House and HarperCollins started to sell digital versions of their publications. In 2004 Sony released its Sony Librie e-reader and then its Sony Reader in 2006. 2007 changed the world of reading forever with Amazon’s launch of the Kindle eBook reader in the U.S. and the launch of the iPhone by Apple. In 2009, Barnes & Noble introduced the Nook, and Sony linked with libraries via the Overdrive digital network to enable library patrons to borrow eBooks from their local library. 2010 was a banner year for eBooks as: 1) Apple released the iPad along with iBooks and its iBookstore on iTunes, selling half a million eBooks in less than a month; 2) Google’s eBookstore launched; and 3) Amazon reported that for the first time, its eBook sales outnumbered its hardcover book sales. By January 2011, eBook sales at Amazon had outpaced its paperback sales, and by the end of the first quarter of 2012, eBook sales in the United States surpassed all hardcover book sales for the first time, topping over $3 Billion in revenue nationwide. And as of the end of 2013, the Association of American Publishers announced that eBooks now accounted for about 20% of all U.S. book sales. Today, one sees many kinds of digital publications. 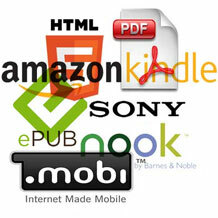 “Electronic” or digital books can come as printable PDFs, enhanced PDFs with hyperlinks and embedded files, or “true eBook” formats: EPUB or MOBI files. EPUB is the most common and non-proprietary format, used by most Government agencies, commercial publishers, and libraries, and can be used on a variety of devices and software from different vendors. MOBI or AZW is used by Amazon for its Kindle readers and software. 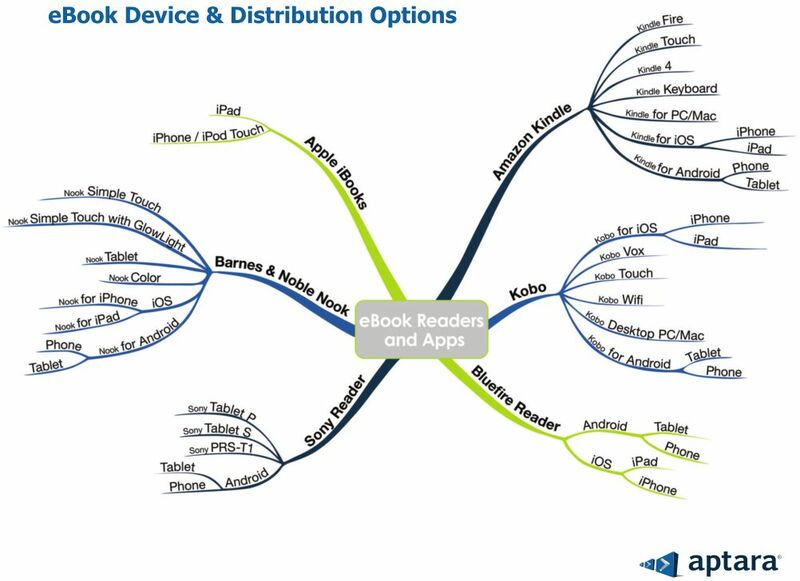 Readers either download digital publications onto their dedicated eReader like a Kindle or Nook, or they download it to their desktop or laptop computer, smart phone or tablet computer to read. 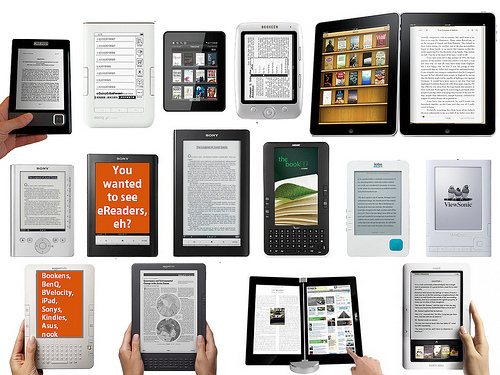 If it is not a dedicated eReader device, the user must first have software on his device to allow him to read the format of eBooks he has downloaded. To learn more about eBook formats and find FREE software to read EPUB eBooks on your computer or mobile device, read our detailed eBook Readers & Formats page on the U.S. Government Bookstore. Magazines are also available digitally, but their typically image-heavy content makes them more suited for reading on color tablets and desktop computers than smartphones or black-and-white eReaders with smaller screen sizes or no color. Zinio.com, touted as “The World’s Largest Newsstand”, is one of the sites where readers can search for and subscribe to digital magazines or buy individual issues. In addition to helping Federal agencies design, print, promote and distribute physical publications, GPO has, for a number of years now, been helping our Federal agency partners design, convert, disseminate, and promote digital publications as well. From eBooks to audiobooks, PDFs to e-periodicals, MP3s to mobile sites, GPO is working with Federal agencies to not only assist them in producing the best digital publications in the right formats, but to also augment their own outreach efforts by helping spread the word to gain the largest audience possible for their publications. Image: Choosing the right format and content for your publication is made easier with GPO’s publication consulting services. Publication Consultation services: Do you need advice on what formats are best for your content? Need to know how to best structure and build your digital publication to ensure its broadest use and dissemination? We offer free consulting services to Federal agencies to help you get these projects on the right track. Design services: Does your agency need assistance in developing and producing digital or print publications, from photography, videography, copy, layouts and more? Our fee-based Creative Services can be hired to do this for you, with only an inter-agency memo required to get started. GPO’s Creative & Digital Media Services helps Federal Agencies design the perfect publication in any format, print or digital. eBook Conversion services: Are you a Federal agency that already has a print book or magazine you want to turn into a digital publication? Or do have one digital format like a plain PDF that you need to convert to another format so more customers can use it? We offer fee-based conversion services to turn that publication into digital formats ready for commercial distribution. Image: GPO can help Federal Agencies convert their existing publications into alternative formats. See our eBooks & Digital Services page for more information. Image: GPO’s Publication & Information Sales team helps Federal Agencies attain the broadest dissemination possible through our many worldwide eBook distribution partnerships. 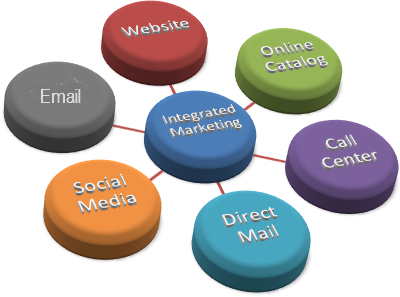 Promotional services: Once your digital publication shows up on all these channels, how do you drive customers to find it? For items in GPO’s Sales Program, we market our Federal agency partners’ digital publications through a variety of methods that could include: posts on this widely-read Government Book Talk blog; posts on other social media such as Pinterest, Twitter, Facebook and more; targeted outreach and press releases; flyers, catalogs and other direct mail; live events and webinars; search marketing; alerts to Federal Depository Libraries about the title; and our free New Titles by Topic email subscription service, to name just a few of our many promotional tools. Image: GPO’s Publication & Information Sales team helps get the word about our Federal Agency Partners’ publications through integrated marketing and outreach to the public, book dealers, industry and consumer organizations and more. Thus, GPO has established the most robust dissemination program available for Federal agencies to “get their eBooks out where users are looking for them,” by signing partnerships with the top eBook and eMagazine distribution services in the world and expanding our own online bookstore to offer eBooks. a) PAID CONTENT: Under this model, instead of having the Federal agency pay GPO for dissemination and promotion, the costs for GPO’s dissemination and promotional services (including elaborate metadata and search optimization) are recovered by selling the eBook to the public at a reasonable price. b) FREE CONTENT: However, if the Federal agency determines that the digital publication needs to be free to the public through all the commercial channels, the agency may pay GPO a modest fee for dissemination and promotional services, and the eBook will be offered for free to the public. 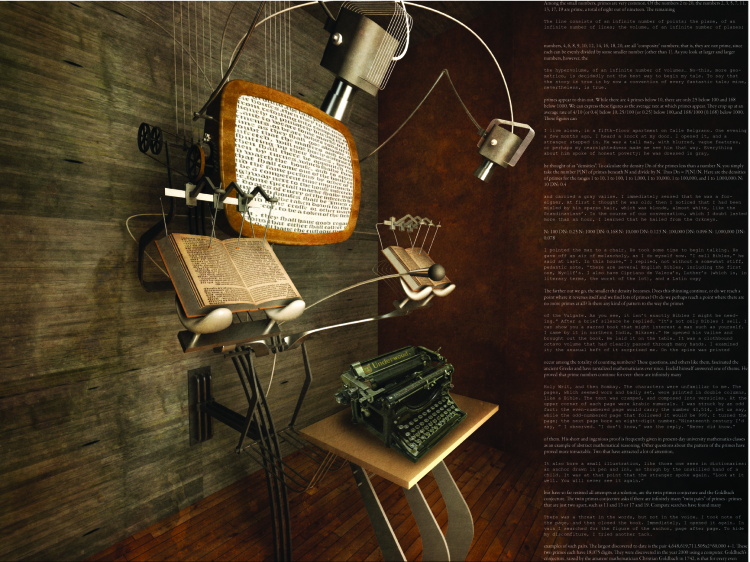 Image: Extract from GPO’s U.S. Government Bookstore home page at http://bookstore.gpo.gov, which has both physical products (print books, CD-ROMs and DVDs, posters, flashcards, etc.) 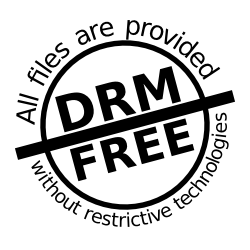 and DRM-free digital publications (eBooks, audio books, PDFs, etc.) available. GPO’s eBook Channels: In addition to cataloging digital publications in GPO’s Catalog of U.S. Government Publications, storing some on FDsys, and sending copies to the Federal Depository Libraries, we also distribute eBooks, both free and paid, on our U.S. Government Online Bookstore at http://bookstore.gpo.gov/ebooks. All ebooks available on GPO’s U.S. Government Bookstore are DRM-free, with no restrictive Digital Rights Management. Because we have optimized the navigation and search on our site specifically to make it easy to find Federal eBooks by Agency, Topic and/or Format, many titles are seeing more downloads here than out on commercial sites like Google or iTunes or even on agencies’ own websites. Also contributing to the surging popularity with the public of obtaining eBooks from the U.S. Government Bookstore is the fact that unlike eBooks purchased from some of the proprietary eBook distributors, digital publications on the U.S. Government Online Bookstore are DRM-free (no Digital Rights Management), meaning they are not restricted to a single device or manufacturer and can be downloaded multiple times. Commercial eBook Channels: Apple iTunes iBookstore, Google Play eBookstore, Barnes & Noble Nook Book Store, Powell’s, eBookPie, Diesel eBookStore, (United States), and more. 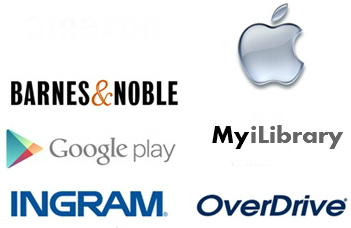 U.S. Public Libraries: Overdrive’s Library Digital Distribution provides eBooks to public library patrons nationwide. Academic eBook Channels: EBSCO, MYiLibrary, AcademicPub and others. Digital Magazine Channels: Zinio.com worldwide distribution of digital magazines and journals. FAA NextGen Implementation Plan (ePub eBook) lays out the Federal Aviation Administration’s roadmap for the future of air travel in America. Ponzimonium: How Scam Artists Are Ripping Off America (ePub eBook) is a don’t-miss eBook about infamous investment fraud con artists, their scams, how they got caught, and how consumers can avoid getting conned themselves. 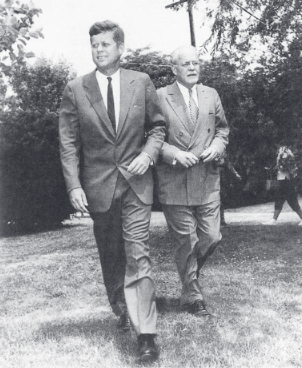 The Warren Commission Report: The Official Report on the Assassination of President John F. Kennedy (PDF) Still controversial 50 years later, this is the full 889-page report by the President’s Commission on the Assassination of President Kennedy. Free Trade Agreements: 20 Ways to Grow Your Business (ePub eBook) The book provides detailed information on best prospects, insights on the economic and political situation, tips on business culture, free and low-cost assistance for entering each country market where the U.S. government has negotiated preferential access for U.S. companies. Sources of Weapon Systems Innovation in the Department of Defense: The Role of In-House Research and Development, 1945-2000 (ePub eBook) explores the historical evolution of this process during the Cold War to the end of the twentieth century, focusing specifically on the content, scope, organizational structure, and management of in-house research and development (R&D) in the Army, the Navy, and the Air Force. It is not merely a comprehensive history of U.S. military R&D, but is rather a broad historical overview of changing institutional patterns of technological innovation within the Defense Department’s major weapons laboratories. Deep Water: The Gulf Oil Disaster and the Future of Offshore Drilling, Report to the President, January 2011 (ePub eBook) is the official report of Presidential Commission assigned to investigate the Deepwater Horizon oil spill disaster, analyze its causes and effects, and recommend the actions necessary to minimize such risks in the future. The Commission’s report offers the American public and policymakers alike the fullest account available of what happened in the Gulf and why, and proposes actions—changes in company behavior, reform of government oversight, and investments in research and technology—required as industry moves forward to meet the nation’s energy needs. Black Americans in Congress, 1870-2007 (ePub eBook) is a comprehensive history of the more than 120 African Americans who have served in the United States Congress through 2007. Written for a general audience, this eBook contains a profile of each African-American Member, including notables such as Hiram Revels, Joseph Rainey, Oscar De Priest, Adam Clayton Powell, Shirley Chisholm, Gus Hawkins, and Barbara Jordan. HAP: Henry H. Arnold, Military Aviator (ePub eBook) Aviation and military history buffs will enjoy reading about Colonel Henry Harley Arnold or “HAP” Arnold, one of the first two active U.S. Army pilots. Also available in Print, this eBook is available currently through third party eBooksellers. How can I get Federal Government eBooks and digital magazines? Shop Commercial eBook Channels: Search these sites for the ISBN or exact title of the Federal eBook. Also, GPO’s Online Bookstore lists third party eBooksellers where the title can be found for eBooks in our eBook Sales program. Visit the Federal Agency’s website: Often, PDFs of the publication are posted on Federal Agencies’ websites. Presidents Day originated as a holiday to celebrate George Washington’s birthday on February 22nd. As a result of the Uniform Monday Holiday Act of 1968, the holiday was changed to the third Monday in February. While the holiday commemorates George Washington, it also honors Abraham Lincoln whose birthday is ten days before Washington’s on February 12th. Consequently, Presidents Day always falls between the two birthdays. Let’s also give a shout out to two other Presidents whose birthdays fall in February – Ronald Reagan’s birthday on February 6th and William Henry Harrison on February 9th. In recent years, the Central Intelligence Agency (CIA) has been declassifying documents and releasing historical collections giving the public access to fascinating and relatively unknown U.S. history. These collections have been made available through GPO’s bookstore and have been the topic of previous blog posts. In honor of Presidents Day, Government Book Talk is taking a look at two recent books published by the CIA focusing on the relationship between Presidents and the intelligence community. The CIA’s predecessor, the Central Intelligence Group, was created after World War II in response to the success and usefulness of intelligence gathering during the war. The booklet and accompanying DVD Crafting an Intelligence Community: Papers of the First Four DCIs looks at the first Directors of Central Intelligence (DCI) and their relationships with President Truman and Congress during the initial years of the newly created intelligence agency during the transition from wartime to peacetime. History buffs and President Truman enthusiasts will particularly enjoy pouring through the 800 recently declassified documents from the DCIs from 1946-1953 that are found on the DVD. Admiral Sidney W. Souers, General Hoyt S. Vandenberg, Admiral Roscoe H. Hillenkoetter and General William Bedell Smith accepted President Harry S. Truman’s challenge to craft an intelligence organization. Each man marked his tenure with his unique brand of leadership that provided his successor with the foundation needed for the next step toward the Central Intelligence Agency of today. The Crafting of an Intelligence Community collection of 800+ Agency documents along with 600 supplemental items shows the day-by-day activities, decisions, staff meetings and contacts that confronted each DCI. They ran the gamut of choosing a secretary to responding to a Presidential question to an evening social event with various ambassadors and dignitaries. Getting To Know the President: Intelligence Briefings of Presidential Candidates, 1952-2004 (Book and DVD) or in Audio Book version was recently featured in the Washington Post for being the federal government’s first downloadable audio book available on GPO’s Federal Digital System (FDsys). The book is an historical account of the information sharing process between the intelligence community and Presidential candidates and Presidents-elect during campaigns and administration transitions. The early chapters when this practice was not yet well-established provide the greatest insight to the briefing process. It starts with the transition periods from the Dwight D. Eisenhower to Harry Truman administration through the candidate and Presidential briefings of Presidents John F. Kennedy, Lyndon B. Johnson, Richard Nixon, Gerald Ford, Jimmy Carter, Ronald Reagan, George H. W. Bush, Bill Clinton, ending with President George W. Bush. An interesting anecdote from the book occurs during the period leading up to the 1960 election when then-Vice President Richard Nixon was running against then-Senator John F. Kennedy. At the time, there were concerns regarding the intelligence briefings on Cuba and the U.S.’s policy towards the Castro government. The recent revolution in Cuba that led to a Soviet-supported communist government was a hot topic during the election and the Presidential debates. Since Nixon was running for President while serving as Vice President, he was privy to information on the covert actions that had been underway in Cuba during the Eisenhower administration. Vice President Nixon raised concerns over what information was shared with Kennedy by the DCI Allen Dulles and how it could affect Kennedy’s positions during the election and the success of the covert actions. This was the first time the CIA was part of a political campaign raising questions on which topics and to what extent Presidential candidates should be briefed. In his own account of these events, published in 1962, Nixon charged that Kennedy, before the election of 1960, had knowledge of covert action planning “for the eventual purpose of supporting an invasion of Cuba itself.” This charge prompted a formal press release from the White House on 20 March 1962 denying that Kennedy had been told of any plans for “supporting an invasion of Cuba” before the election. The White House denial was backed up by Dulles, by then a former DCI, who explained that Nixon’s comments were apparently based on a misunderstanding of what was included in the briefings he had given Kennedy. Celebrate Presidents Day and get to know the Presidents from the intelligence community’s perspective with these new CIA publications or any of the publications found in the GPO Bookstore’s Presidential History collection, which also includes the popular Public Papers of the Presidents collection. Shop the Public Papers of the Presidents series. Click here to shop our entire Presidential History collection. You are currently browsing the archives for the Award Winning Books category.